We are all eagerly awaiting the delivery of Bailey’s Sophie Belle’s first litter. She is due Dec. 12th which is just a bit over a week away. I have 5 paid deposits for her litter, but I am pretty sure there are more puppies than that in there she is getting large. The next planned litter after that will be arriving the first week of Feb. 2015. 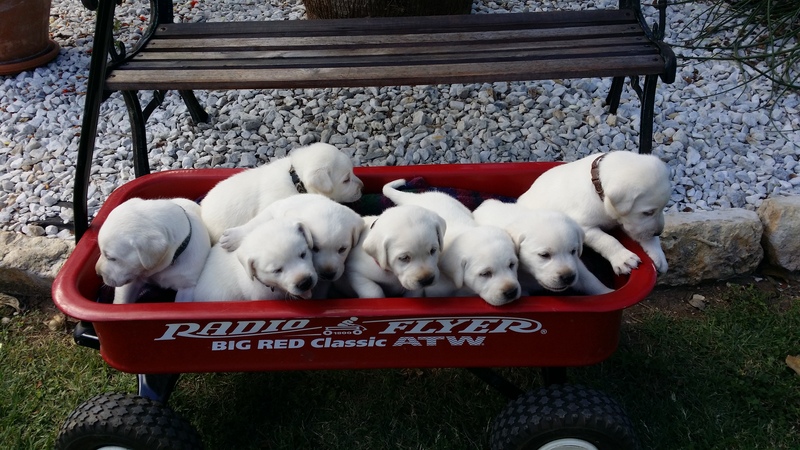 This photo shows a wagon full of white lab puppies getting a ride.